Since the remodel and addition, TLC now has a total of 27 private rooms and a 2,000 square foot therapy gym. Feel free to reach out for a tour. The grand opening will include lunch and the public is encouraged to attend. To see photos of the new wing, click here. 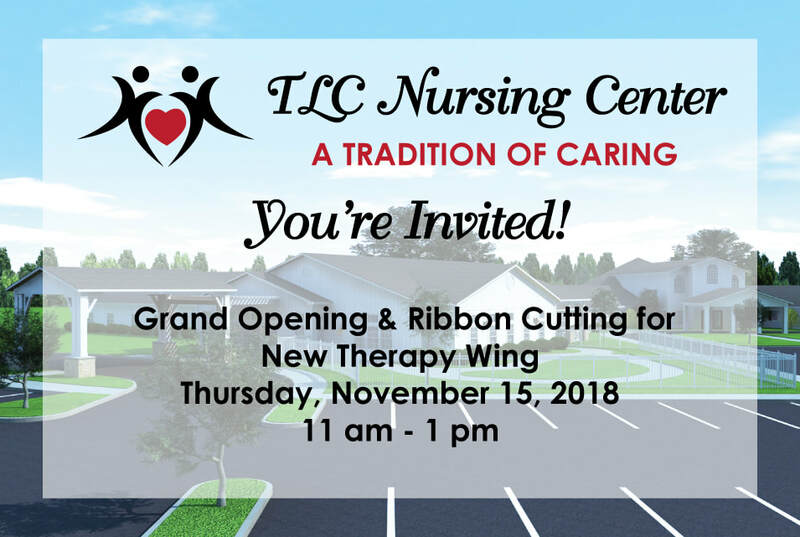 For more information, please contact Pam Vogt at 205-625-3520 or pvogt@tlcnursingcenter.com.